Prepare the Pillsbury™ French Baguette Loaf according to package directions. Cut the loaf of bread open lengthwise. Line the bread with slices of brie cheese. Top with arugula and then slices of tomato. 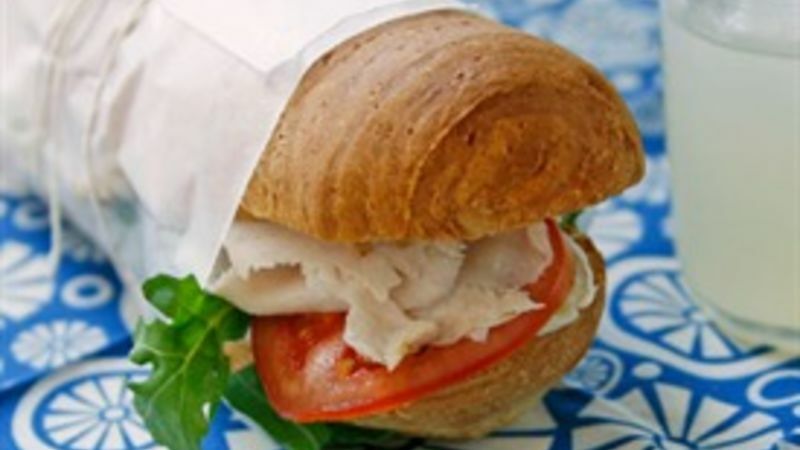 Fold and drape the turkey along the length of the sandwich. Top with the other half of the bread. Cut into four even pieces and serve.